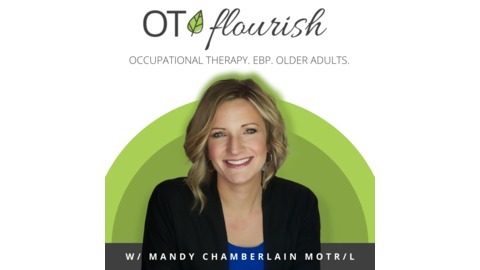 The Seniors Flourish Podcast with Mandy Chamberlain MOTR/L showcases interviews with Occupational Therapy influencers, answers questions and discusses relevant topics for OT practitioners working with older adults. Let's get EXCITED for geriatric OT while getting practical, actionable ideas that listeners can use in their own practice right away. 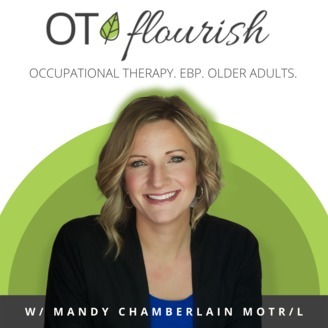 At the Seniors Flourish Podcast, the mission is simple: Helping fellow OT practitioners working with older adults be the best they can be. Occupational therapy practitioners improve quality of life in hospice and palliative care by helping people engage in those meaningful occupations, even if it is at their end of life. Karmella Bognot MS, OTR/L shares her experience working with people in a hospice and palliative care setting and how our role as OT practitioners is just as important in this stage of life, as it is when they are younger. Talking About the Unspoken: Death & Dying (course from Occupationaltherapy.com).